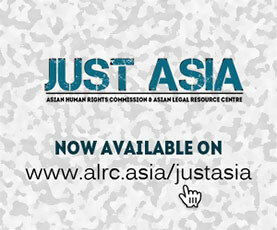 The Asian Human Rights Commission is happy to present its latest publication which is now available in print and as an e-book. The book is based on over 20 years of work attempting to expose glaring flaws of criminal justice systems in particular and the overall legal systems in general of the developing countries which prevents people living in these countries from actual achievement and enjoyment of basic human rights. This is done by way of selected study on the widespread use of torture and ill-treatment in these countries, which is a direct result of the defects that exists in the systems of justice. The flaws in the policing systems, prosecution systems and judicial systems which instead of protecting the rights of people, in fact becomes an obstacle to their achievement – is being analyzed in detail in this book. Detailed studies on the defects of Sri Lanka’s justice systems are used in this book as illustrations of common problems that exist in almost all developing countries. The book uses details of actual stories documented over a long period to illustrate various questions and issues highlighted in the book. Then a detailed analysis is made of these narratives to explain the root causes for the prevalence of such extremely defective systems and the unwillingness of the Governments to improve or to reform these systems. In one instance, the story of a young man who made a complaint against a few police officers of a particular police station, regarding illegal arrest and torture is used as an illustration. The result of the complaint was that he, his mother and his father were made to disappear as a way to erase all evidence against the police officers who allegedly violated his rights. Nearly 30 years have passed since this incident which is well-known, but the state has made no attempt at all to investigate this heinous crime. This illustrates that despite of widespread knowledge about very serious crimes, the Governments can ignore them as matters of no consequence. When serious crimes become matters of no consequence, it is an indication that no amount of legislation would be of ant use if the state neglects the enforcement of such laws. When law itself becomes irrelevant, can human rights be regarded as relevant and important in these societies – is the question that the book poses, quite poignantly. The Book consists of four parts; first part deals with the impact of a bad system of justice on judges, lawyers, law enforcement officers, civil servants and all citizens in the country, who all suffer by way of a deterioration of their intellect and capacity for rational living; second part deals with the consequence of introducing what was called “constitutional autochthony”, which in Sri Lanka meant displacement of separation of powers and other basic tenants of liberal democracy; the third part deals with the manner in which the deterioration of the Legal System affected the entire political system; the last part gives graphic details of how the crisis of justice system is manifesting itself in contemporary Sri Lanka. The aim that the book is pursuing is well summarized is its dedication. This book is dedicated to the hope that a better understanding may emerge of the wWrongs that people who live in countries with broken justice systems suffer, giving rise to a heightened level of concern and a drive to undo such wrongs through local and international strategies and actions, all to create environments where the life and liberties of people are protected. 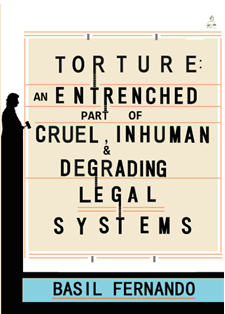 The foreword to the book has been written by Dr. Sunil Coorey, Senior Counsel and author of the monumental work, Principles of Administrative Law in Sri Lanka, who writes that the “biggest obstacle to the eradication of the practice of torture by the Police is the apathy with which the State machinery as a whole and those in the higher strata of society (including judges, lawyers and the comparatively well to do), look upon it”. Copies of the book can be obtained from the Asian Human Rights Commission based in Hong Kong and will soon be available in book shops as well as an e-book.